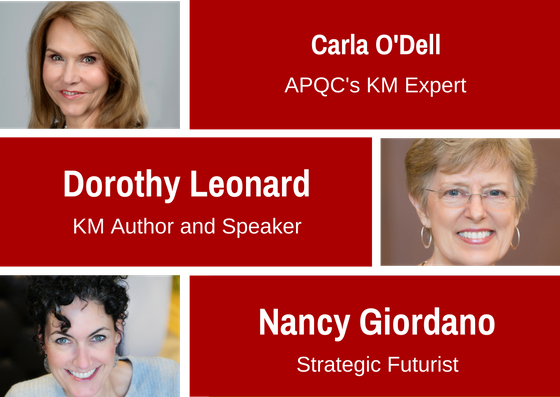 Join more than 350 KM practitioners and business professionals at the 23rd annual APQC Knowledge Management Conference, April 16-20. Get proven tools and tactics to communicate the value of KM, inspire employees to share and use knowledge, and sustain behavior change so that it becomes part of your organization's DNA. The 2018 conference will focus on the opportunities and potential pitfalls presented by emerging technologies. How can we use these technologies effectively complement the foundational KM best practices refined over 22 years? Digitization opens new possibilities for data collection, analysis, and targeted delivery, but there are downsides. And even the coolest new tools will fizzle unless backed by a solid strategy and game plan. 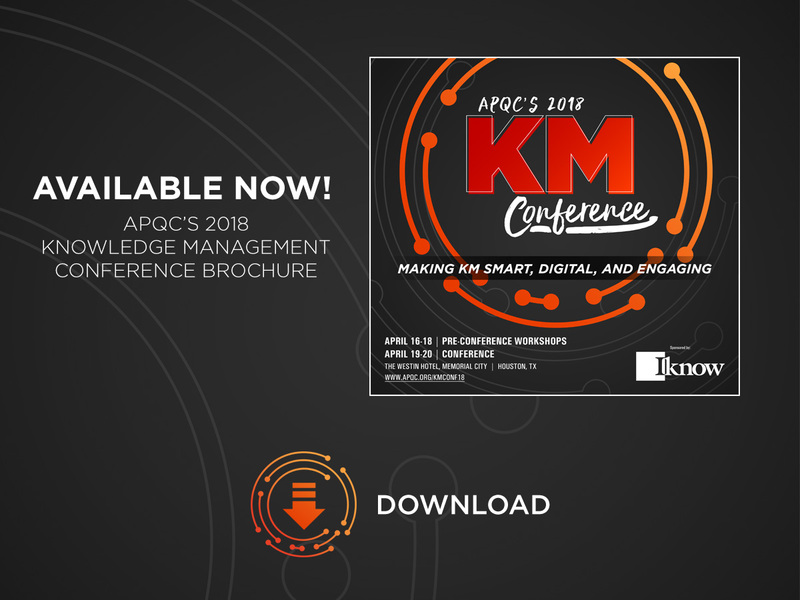 APQC’s Knowledge Management Conference has, and always will be at the forefront of KM, providing you the most choices for your professional development. Learn what strategies your peers are implementing and discover how they are tackling similar issues you are facing. You’ll learn new strategies and solutions to solve some of your toughest problems. The KM Conference brings together the brightest minds from the world’s most reputable organizations, and the networking opportunities are unparalleled to any other event. You’ll have unlimited opportunities to network with your peers, whether it’s during a lunch, during the sessions, walking the halls, or even at the two networking receptions. 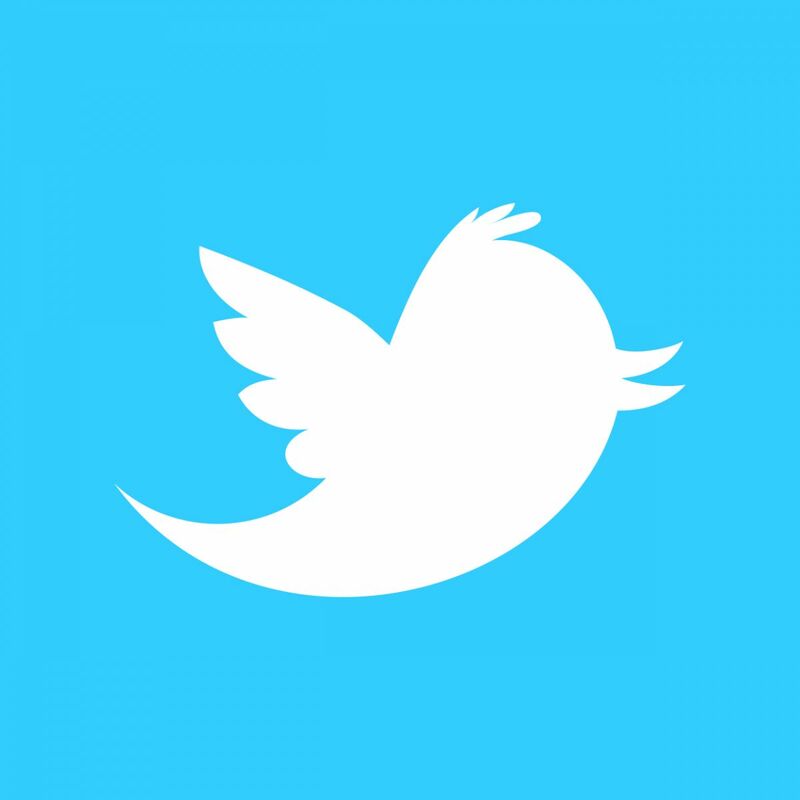 You’ll come away with an expanded network of peers. If you want to stay relevant in your profession, you have to know the latest trends and how to implement them. With several sessions focused on innovation and trendsetting keynote speakers, there is no better place to take the pulse of the industry. Thank you to our 2018 steering committee for help us guide this year's conference program. Lynnette Gulley, FMC Technologies, Inc.
"The quality of the presentations and keynotes were top-notch. I fee like I had good exposure to current thinking, practices, and trends in the KM industry." 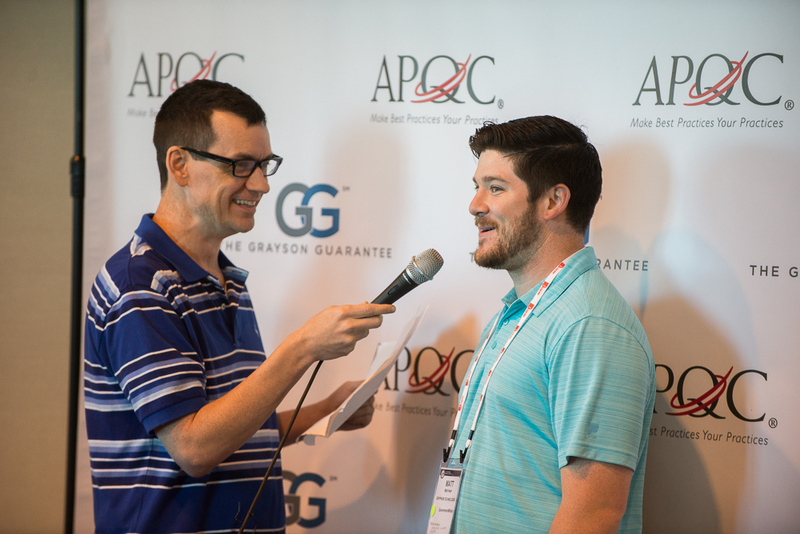 “Learning from both APQC experts and industry practitioners was exceptional; the combination adds credibility." Iknow LLC is a leading management and technology consulting firm that helps businesses, governments, and nonprofit organizations to harness and unlock the value of their enterprise knowledge. Iknow’s solutions, which integrate strategy, content, business process, technology, and culture dimensions, help our clients deliver the right knowledge to the right people at the right time, enabling them to improve performance and achieve their mission. Visit www.iknow.us for more details.